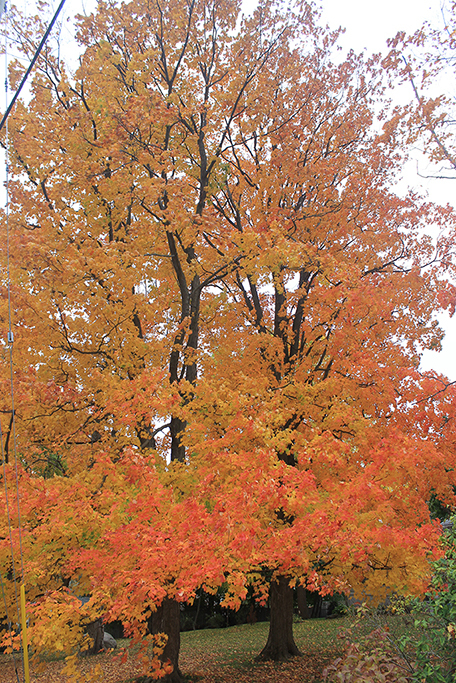 Every Autumn in Ontario we enjoy the beauty of the fall colours. The mixture of red, purple, orange and yellow is a site to be seen. We are very lucky to live in a place with such a beautiful change of season, but how does this happen and what factors effect this show of colour? During the growing season, the leaves are green because of the presence of chlorophyl. The chlorophyl is used by the tree during photosynthesis to convert sunlight into sugars. 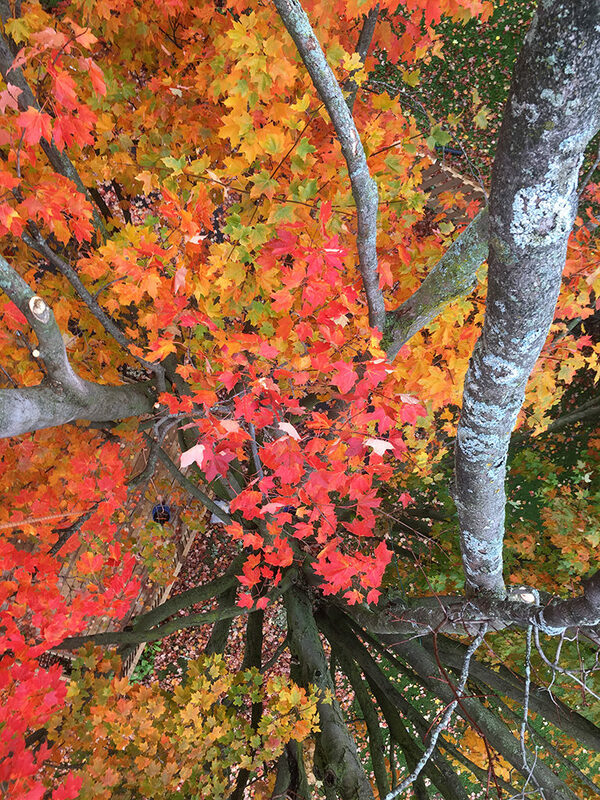 In the Fall, as the days get shorter, photosynthesis slows down and eventually breaks down allowing the other pigments present in the leaves become visible. Why So Many Colours and What Causes Them? Anthocyanins: The compounds that creates reds, pinks and purples are produced in the Fall. These compounds react with excess sugars stored in the leaf and sunlight to create those bright colours. A mixture of both of these compounds creates the beautiful Orange that we see in some species of trees across Ontario. What Affects the Timing of Colour Change? A growing season that has had sufficient rain and an Autumn with sunny days and cool nights, will have a good showing of colour. 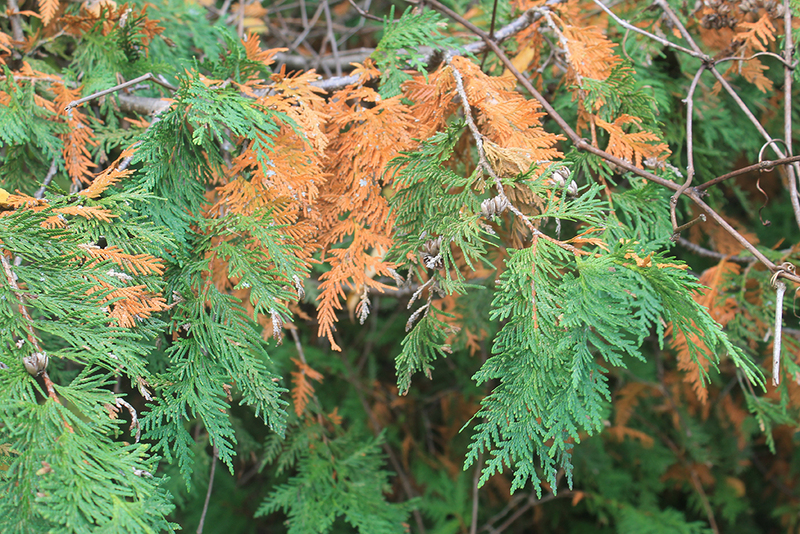 Drought can affect colour change, as well as too many cloudy days with rain. Stress (yes trees get stressed too!) can effect colour change too. Individual trees that are changing colour way or dropping leaves way ahead of the other trees around them may be stressed by weather, disease or other environmental conditions. Though evergreen trees do not loose their leaves every fall like deciduous trees do, they do not hold onto their leaves (needles) forever. Cedars, Spruce and Pine will loose their leaves every few years. You may notice browning foliage during the Autumn. This is commonly referred to as flagging. The new growth remains green while older growth browns and falls from the tree.